Dr. Arash Aftabi is a highly skilled, truly outstanding periodontist providing state-of-the-art general dentistry and cosmetic dentistry treatments for patients in Seal Beach and Tustin, CA, and throughout Orange County. Recognized for his compassionate, gentle approach, Dr. Aftabi offers a comprehensive array of advanced care options at Gentle Care Dental Center, including routine teeth cleaning, extractions, root canal therapy, crowns, and dental implants, as well as periodontal surgery aimed at improving overall oral health and correcting the damage caused by advanced gum disease. Committed to the highest personal and professional standards, Dr. Aftabi’s philosophy has always been to treat each patient as if they are a family member. He has earned his patients’ trust and confidence by providing quality periodontal and dental implant treatment in an atmosphere that is educational, relaxed and caring. Dr. Aftabi attended the prestigious Boston University in Massachusetts where he received his doctor of medical dentistry (DMD) degree graduating with honors, followed with his Post-Doctoral Specialty Certificate in Periodontology and Implantology. He has given numerous scientific presentations. In addition, he has published his research on periodontal disease in the Journal of Periodontology and has lectured at universities and the local dental society on implant procedures. In addition to traditional surgical and non-surgical periodontal treatment, Dr. Aftabi utilizes Nobel Biocare Dental Implants, which is the premier implant system in the world. He fine-tuned his Implantology skills at Harvard School of Dental Medicine (Boston) and Albert Einstein Medical School (New York City). Dr. Aftabi is a member of the American Dental Association (ADA), California Dental Association (CDA), American Academy of Periodontology (AAP), Western Society of Periodontists (WSP), and Harbor Dental Society (HDS). Dr. Aftabi hosts continuing education classes and training for general dentists and hygienists on implants, treatment planning, and restoring. His passions are traveling, fine arts, skiing, swimming and spending time with his wife and two young daughters. 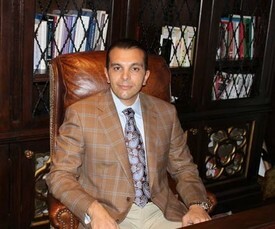 Dr. Aftabi will provide extraordinary service to all his patients. His training speaks for itself. His greatest concern will always be for the patient. He looks forward to having you become a part of our practice.